In a previous blog, we reviewed multi-company functionality in Deltek Vision and learned how it serves as a tool for sharing and accounting for resources across the companies within an enterprise. Cross charge capabilities in Vision are based on similar theories as multi-company, but are focused on the interaction within a company and its organizational breakdown structure (OBS). Before we dive deeper, here are some links to blogs about multi-company functionality and OBS in case you are unfamiliar with these topics. It is important to understand that cross charging is a financial tool and is based on the general ledger. It is not an attribute of project reporting since time charged to a project remains on the project for billing and reporting purposes. 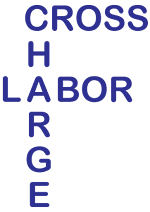 Cross charge is labor focused and occurs after the timesheet is posted. By default, Vision is built to be project centric, which simply means that the process of entering and posting timesheets determines where the labor charges are assigned. If the cross charge process is not configured or run, the cost will remain on the “books” of the organization where the project is assigned. As financial and operational managers, we must always remember that revenue can only be earned once and a cost incurred once. For this reason, cross charge allows businesses to move these elements in and out of various “buckets” within their organization. When a combined income statement is run, all cross charge entries will zero out and the original revenue and cost will remain. A good example is a civil engineer where projects live in the various disciplines. The survey department would loan their staff to the engineering projects and cross charge would be the financial component to drive and manage the accounting for the labor. Project Centric – This is when labor remains on the books of the organization where the project resides. A multiplier is then used to account for some portion of operational/overhead (OH) costs. This factor could be limited to a fringe benefit rate, could represent a breakeven OH rate or even include some profit. The purpose is to ensure that the loaning organization has an incentive to keep their staff busy, but they also need to be careful as to not over extend their resources. Employee Centric – This works by adjusting labor back to the employee’s organization. Using typical billing rates, although a multiplier can be used, the revenue is moved from the projects to the employee’s organization. The purpose again is to ensure the loaning organization doesn’t lose the ability to show a profit by sharing their staff. Here is a success story where the operational process and projects are built on the premise that fee and scope drives work breakdown structure (WBS) in a clients’ Deltek Vision database. Under this model, high accountability becomes the first option where phases and tasks within a project are assigned to different organizations based on the portion of the work. Employees then charge the phase/task that is assigned to the organization they “live” in. This results in more closely managed projects because the profit accountability is shifted back to the organization supplying the labor. This process eliminates the need for cross charge. But wait…realizing that in order to run successful projects, there is a necessity to anticipate unplanned needs. This means that the firm must have the ability to borrow an employee from another department for a short-term assignment or a last minute need. For example, the base building studio decides it needs input from the interiors studio. In this scenario, the client falls back on the project centric method noted above as a mechanism to facilitate resource sharing and not impede project progress. Furthermore, this is a prime example of a need for cross charge. Whether your current OBS is solid or you are considering a change, cross charge can provide the functionality required to ensure an open and smooth process of resource sharing. With a thorough understanding and effective implementation, cross charge can provide another dimension in managing your business.